Standing in the midst of what was the epicenter of an empire, the Roman Colosseum, remains an emblem of the legacy of the Roman Empire. Built from the finest travertine mined from areas in central Italy, the Colosseum wouldn’t be the same structure it is if it was constructed with something other than the durable, natural material. Originally named the Flavian Amphitheater, construction began under Vespasian in AD 7 as a place for wealthy Italian aristocrats to gather to watch dramatic events unfold. Vespasian never made it to the opening of the amphitheater, his son and successor Titus, opened the Colosseum to the public in AD 80. The Colosseum was the largest amphitheater in the world and could hold between 50,000 to 80,000 spectators, which was impressive during this time period. It was also one of 250 amphitheaters situated around Italy, noting the importance of public events for the Romans. 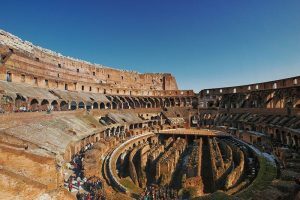 The Colosseum held several events such as public spectacles, animal hunts, dramas based on Classical mythology, executions, re-enactments of famous battles, and most notoriously for gladiatorial competitions. 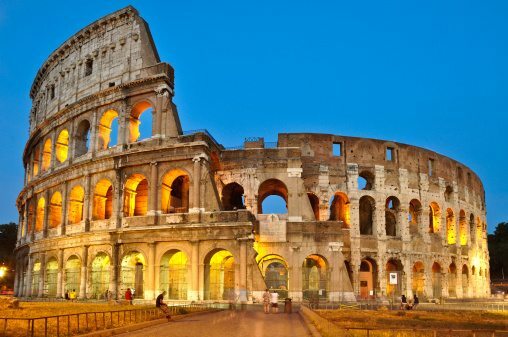 Despite withstanding the test of time, the Colosseum was not easy to build. Vespasian gave the order that it was to be constructed on top of a lake, which made planning a more tedious process and required building materials that were resilient to water. It was also a large structure with four stories and 76 arches, allowing for mass audiences to get in and out of the entrances easier. Notable for its arches and the square designs in its facade, travertine was an ideal material to create beautiful aesthetics and remain functional for a design choice. The travertine was quarried from neighboring Tivoli and sent back to Rome for construction. The Romans built a special road designed to transport the travertine from Tivoli straight to Rome for construction. Travertine was used for the main pillars, ground floor, and external wall. Travertine slabs were also paved in the area surrounding the Colosseum to support the outer realm of the building. The seats inside were also designed with travertine, although it is no longer exists in the modern structure. The remaining areas were constructed with a mixture of concrete, which was a new invention in this era and helped make building the structure easier. The outer wall is estimated to have required over 100,000 cubic meters of travertine stones. Unlike traditional travertine, set in mortar or plaster, the Colosseum was held together with 300 tons of iron clamps. This made the structure susceptible to damage during extreme weather conditions; earthquakes, for example, caused significant damage to the outer wall. Gilded bronze shields line the exterior of the Colosseum. The Romans etched markings in the travertine for a unique and original touch. 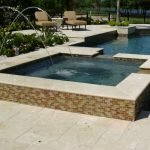 Although your next project may not reach the same heights and require the help of hundreds of Romans, travertine building material is a viable option to express individual tastes and fulfill the design requirements you may have for your next project. 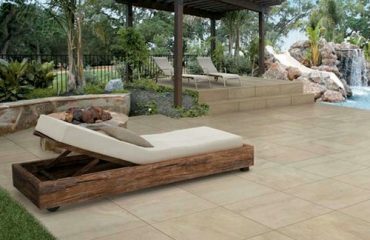 If you want your project to last as long as the Roman marvel, travertine is an easy choice for the job, because it is durable and doesn’t require a lot of maintenance. 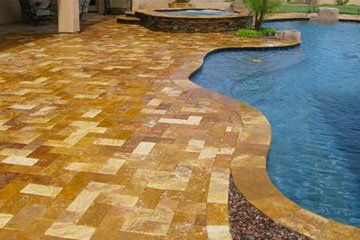 Travertine can also be constructed in a myriad of ways, similar to the Roman arches. 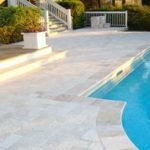 Although it is typically cut into squares and rectangles to form travertine pavers and tiles, you can deviate from the original cuts to form your own patterns. 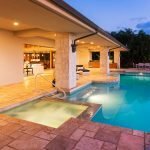 Travertine is also an easy material to form columns and poles. The sturdy nature of the stone allows it to remain intact without losing its appealing aesthetics. 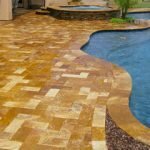 If you want a project that lasts as long as the Roman Colosseum with all the beauty, travertine should be your first option.